In the previous 2 entries we looked at some pretty unique games. One was an indie effort called Kerbal Space Program. The other was a more well known indie effort called Don't Starve. Today we'll take a gander at a glorious gift of gaming. This reboot to the classic Strategy game, comes from Developers Fraxis Is the greatest AAA game to come out this year without a doubt. 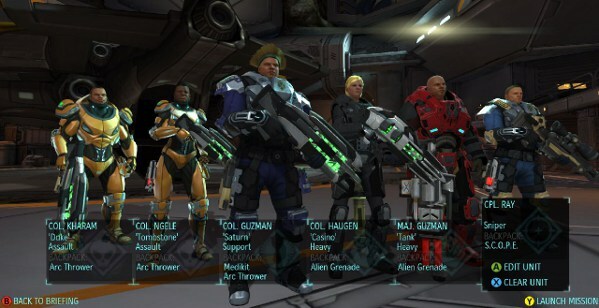 There are no games more worthy of praise and spotlight then Xcom. No Skinner box fps (BorderLands 2), No poor conclusions to epic tales (Mass Effect 3), No pathetic attempts at a Bioshock (Dishonored). Honestly, the high budget games this year sucked. Xcom is the standout among them all. First, let's talk about art. The art in Xcom is outstanding and directly impacts how the player is involved in determining strategy, and how menu systems are presented in the game. For example, let's say you have 2 soldiers with a new weapon, the plasma type weapons, and 2 without. You are in the middle of a game. How can you tell? A lesser game would force you to look at a menu, see the stats of your gun, and then continue playing. What Xcom does brilliantly is reflect your load out in the art. Your Weapon looks strikingly different from a regular one. This is reflected in Enemy design, Cover, Your characters class, body Armour, extra weapons. Everything that is important to your game is easily readable from a quick glance on the game screen. It's done properly, and it's done really, really, really well. 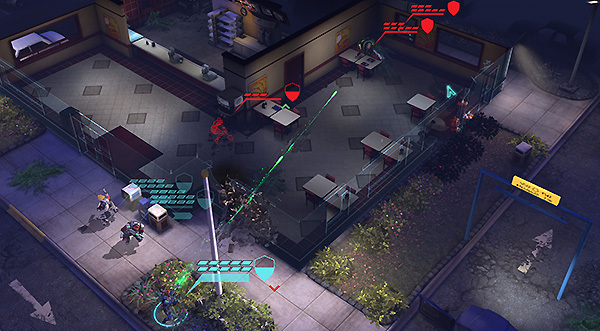 Gushing aside, the game play of Xcom is streamlined and fast, fun, difficult, and rewarding. It feels streamlined compared to other Strategy rpg games, you'll move as expected on a grid, snap to cover when available, and fire. Skills are laid out in the bottom of the screen and when you attack an enemy, easy to read big percentages appear on how much damage you can do and the likely percentage you'll hit them at. Things like Cover, Flanking, Weapon type, Distance all play into these values. What might seem simple becomes increasingly involved and complex as the game throws more enemies at you, and higher difficulty ones as well. Executing a successful raid on an wrecked alien ship is fun too. Sending out a platoon of 6 of your best soldiers, planning each move perfectly and making it out without a scratch is a blast. Dealing with an excruciatingly difficult scenario, where the enemies flank you on all sides and you can't make it out of the round with anything but one critically wounded soldier is a painful thing. But making it out is still a rewarding experience. Compound everything about the battles in Xcom on top of the base management system, and you'll start to understand the breadth of experience at hand here. You'll build ships to take down ufos, train soldiers for battle, study alien tech and build facilities to house satellites. All while looking at a world map and defending aliens where ever they land. The base stuff, and the battles feel completely separate. But yet they intertwine with each other perfectly, and you have to quickly rely on what you do in battle, for what you do in your time back at base, and vice versa.